Rome and Marathons have been connected for centuries. This is a great opportunity to be a part of or simply observe a sport that's been a tradition for ages. To herald the coming spring, the photogenic Spanish Steps are adorned with over 3,000 vases of azaleas. The pink, white and red blooms cover the steps in a profusion of vibrant colour making for a perfect photo opportunity. By far the biggest event of Easter is the famous Via Crucis or ‘Way of the Cross’ procession, when the Pope leads a solemn torchlight procession from the Colosseum to the Palatine Hill to commemorate Christ’s last walk to Mt Golgotha. Along the way, the faithful stop at each of the 14 stations of the cross to say a prayer. 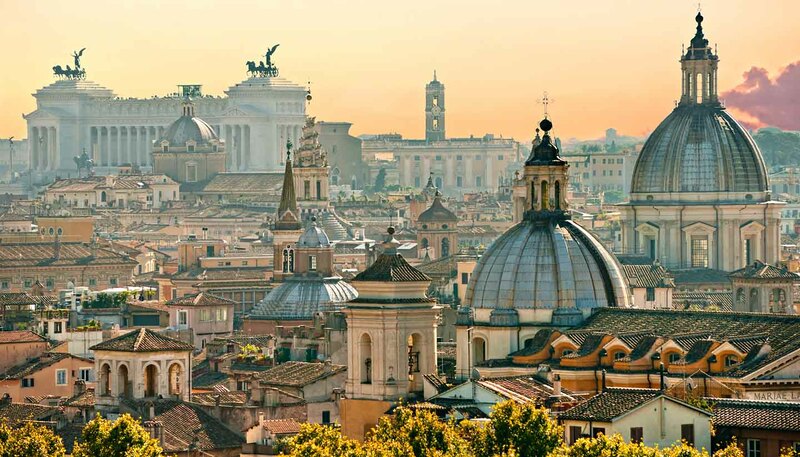 Not every city celebrates its birthday, but Rome does on 21 April each year. It was Romulus, suckled by a she-wolf as an infant, who went on to found the city in 753BC. Romans today celebrate the event with bands on Piazza del Campidoglio and fireworks over the River Tiber. 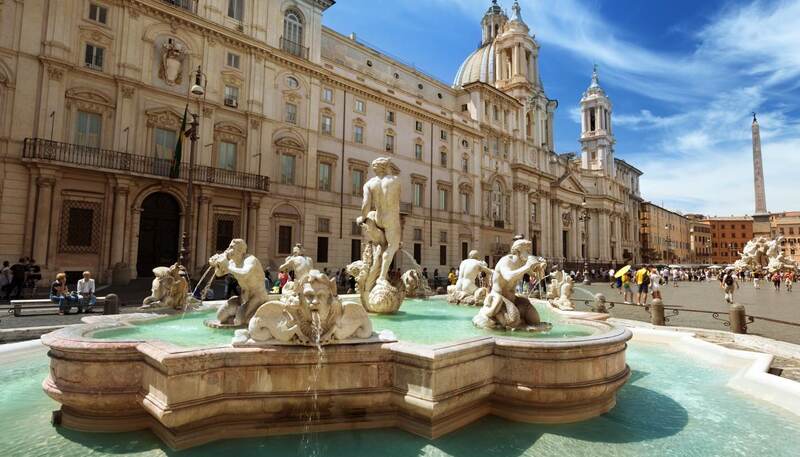 Rome's monuments, archaeological sites and many museums allow free entry on the day. Each year on Labour Day, Rome celebrates with a free rock concert on Piazza San Giovanni. Over 700 artists line up for a turn on the stage before a huge crowd, occasionally joined by a high profile guest artist. The event began in 1989 and quickly grew into a major popular event, heavily covered by TV and the press. Get there early for a good view of the stage. Between June and September, Rome's city council puts on a summer calendar of events that turns the city into an outdoor stage. The programme encompasses music, dance, literature and film and events are staged at some of Rome’s most attractive parks, archaeological sites, villas and private courtyards. Venue: Palalottomatica, Stadio Olimpico, Rock in Roma etc. Many celebrate the birth of St John the Baptist especially around his namesake church the monolithic, white Basilica di San Giovanni in Laterano. During the festival, stalls serving pork roasted with herbs, snails and other local specialities are set up in front of the basilica. At night, the piazza is lit by torches. This festival is a celebration of the district’s working-class heritage and of the Madonna of Mount Carmel. Held in one of Rome’s most lively nightlife quarters, you can expect plenty of food, wine and dancing. The event culminates with an impressive fireworks display. Venue: Piazza Santa Maria, Trastevere. Dedicated to featuring the very best contemporary artistic performances in the fields of music, theatre, opera and dance, the RomaEuropa festival is a huge cultural undertaking. Performances by emerging and leading international artists are showcased is special locations throughout the city as well as the main arts centre, the Auditorium Parco della Musica. Venue: Auditorium Parco della Musica. A real red-carpet event Rome’s nascent film festival showcases a varied programme of international premieres, documentaries, retrospectives, exhibitions, concerts and live shows. Inaugurated in 2006, it draws a bevy of A-list celebrities such as Martin Scorcese, Meryl Streep and Susan Sarandon as well as local stars such as Monica Bellucci. The second largest church in the Christian world, the 16th-century St Peter's Basilica in Rome provides a moving setting for the celebration of Christ's birth. Each Christmas Eve the Pope gives Midnight Mass in St Peter's Square. Attended by a vast crowd of pilgrims, the speech is broadcast to over 40 countries. Visitors to this occasion need to reserve tickets through the Prefettura della Casa Pontificia.